Here is this week's match up for Shop 'n Save. 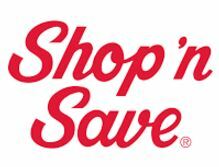 If you are new to using coupons read Coupons 101 & the Shop ‘n Save Store Guide before you shop. Shop 'n Save now has eCoupons. I have heard that these are stacking with manufacturer's coupons too! Get the coupons by going to the Shop 'n Save site or by downloading the Shop 'n Save App. Plus this week in store save $15 off of your $75 purchase 3/2 – 3/4 with the in ad or mobile coupon.